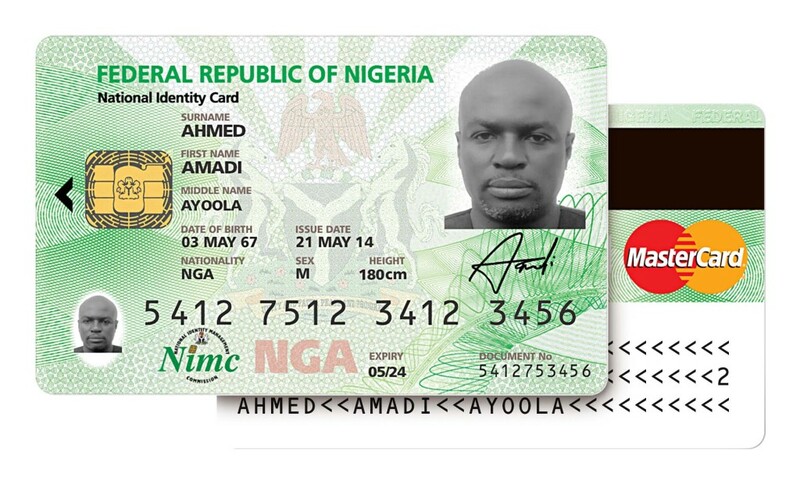 Nigerian Identity Management Commission (NIMC) will issue MasterCard-branded identity cards with electronic payments functionality to 13 million Nigerians. This initiative is the largest rollout of a biometric-based verification card with an electronic payment solution in the country and the broadest financial inclusion program in Africa. Using the card as a payment tool, Nigerians can deposit funds, receive social benefits,save, or engage in many other financial transactions that are facilitated by electronic payments with the extra security assurance that biometric verification provides. They can also pay for goods and services and withdraw cash at millions of merchants and ATMS that accept MasterCard payment cards in Nigeria and in more than 210 countries and territories globally. MasterCard has unsurpassed merchant acceptance; no other brand is more widely accepted. The card also has the added safety and security benefits offered by the EMV Chip and Pin standard.